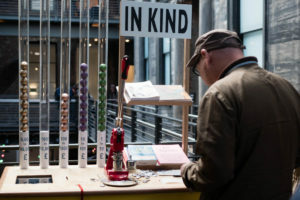 Coinciding with its host Paradise Works’ first anniversary, Assembly Salford was most illuminating during its opening session which saw presentations from a variety of organisations who’ve achieved a degree of longevity in the artist-led arena. 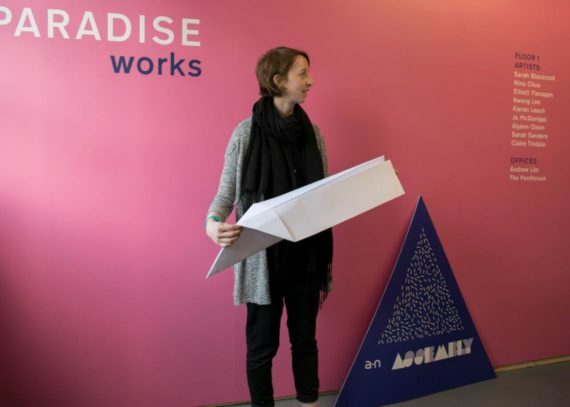 It seemed as though we were seeing different potential futures for Paradise Works itself, and that was surely on the mind of the day’s programmer, Lucy Harvey, co-founder of this artist-run studios and project space. It soon became clear from the discussions that resilience was among the most important qualities in achieving long-term success. From The NewBridge Project (Newcastle upon Tyne) and S1 Artspace (Sheffield) we heard of evictions by private landlords, something that will have resonated with the local audience as Paradise Works itself was founded after Rogue Artist Studios’ eviction from their previous city-centre location. Niki Russell of Primary (Nottingham) recounted recurring failures in trying to secure a new long-term space, before finding the organisation’s current home. Accompanied by genuine gasps from the audience, he described having to return significant public funding after repeated delays meant that the money could not be spent before the deadline to do so was reached, meaning that plans for a new building had to be abandoned. The willpower to keep it together in spite of crushing external circumstances is truly an impressive thing, and a reminder that often the only path to any sort of success is simply to persist, to not to quit in the face of the overwhelming odds stacked against you. Being in the right place at the right time to secure your future also emerged as a key factor to longevity. 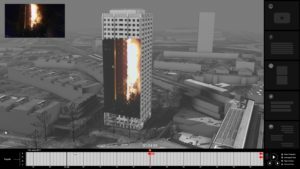 Both The NewBridge Project and S1 Artspace spoke of evictions and having to quickly find new spaces to relocate to, which brought up the lingering thought of what they would have done if suitable new spaces had not been found. If The NewBridge Project’s original landlord had not had another nearby building immediately available, would the project still exist? If Urban Splash had not been in the process of redeveloping the Park Hill estate, what would S1 Artspace have done? It’s entirely possible that different solutions would have been found, but the good fortune displayed demonstrates how tenuous existence can be for long-term arts projects, how easily things can fall apart, how longevity creates the illusion of permanence when artists have no power and are reliant on the goodwill of landlords to sustain their existence. The importance of luck was reinforced further by Jack Fortescue of Acme (London). He stressed that artists need to embed themselves in areas before development takes off – once again, needing to be in the right place at the right time – otherwise it will already be too late, as rent and property values will have increased to the extent that they will be priced out. 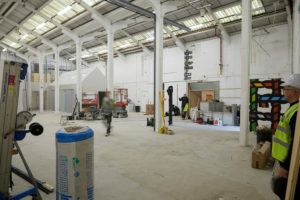 Paradise Works itself exemplifies this, having arrived in Salford in the early stages of a prospective development boom, as the city looks to reinvent itself and the council talks about the importance of retaining the presence of artists. 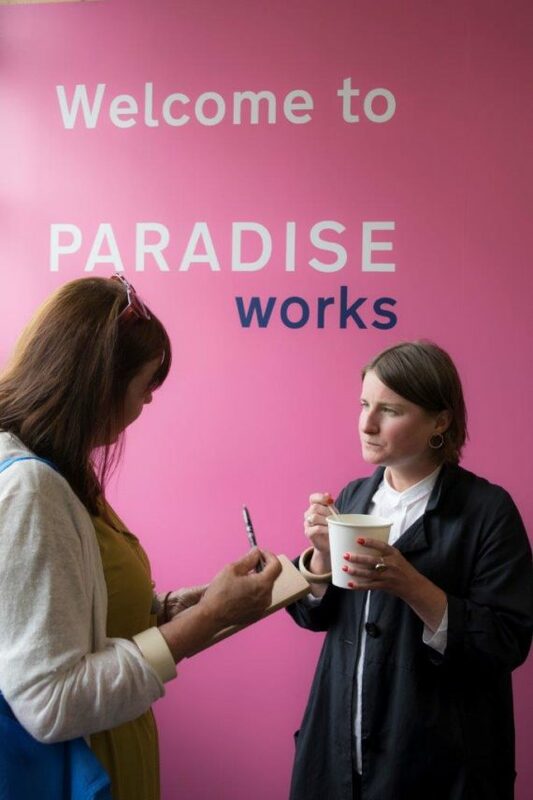 The tireless hard work of co-founders Harvey and Hilary Jack has ensured that Paradise Works has been a success so far, but if the timing had been any different so too could the outcome. Another factor only briefly touched upon was that of mental health. Bill Campbell of Islington Mill (Salford) repeatedly recommended that the audience should not follow his example, which included buying the building in a personal capacity. Upon prompting from a member of the audience, he acknowledged the affect that such responsibility can have on you mentally. The weight of responsibility when you’re providing artists’ studios and exhibition space, when you’re propping up something as shaky and unreliable as an art scene, must be enormous, particularly given the almost total lack of financial security in this industry. As awareness of mental health issues and the importance of mental wellbeing is increasingly acknowledged throughout society, it’s important that artist-led activity shares the same concerns and finds ways to take action. Professionalisation would seem to be one effective strategy – as activity becomes organised and roles are created within a defined organisational structure, the weight of personal responsibility must surely lift. S1 Artspace has become such an organisation and has long-term development goals that would elude many other organisations whose simple aim is to survive. S1’s relationship with developers Urban Splash has seen them become an integral part of the Park Hill redevelopment, allowing them to expand into what looks to be a grand new space. It’s interesting then, to compare S1 Artspace to Islington Mill, who more than any other presenters at Assembly have eschewed the notion of professionalisation, retaining a unique personality almost 20 years after it was founded. Perhaps, as Campbell stated, the Mill’s model is not necessarily one to be recommended for practical and personal reasons, but it nonetheless demonstrates that it is possible to achieve autonomy and permanence on your own terms. Hopefully, as development in Manchester, Salford and elsewhere continues apace, there is still room for artists to do things their way. Assembly Salford took place on Thursday 24 May 2018 at Paradise Works, Salford. The next a-n Assembly event is at Eastside Projects, Birminingham on Friday 15 June.